An exciting glimpse into what makes New Zealand such an interesting country to explore, this 19 night self-drive tour takes you through Auckland, Rotorua, Hawke’s Bay, Wellington, Mt Cook National Park and Christchurch, among other beautiful and fascinating destinations. From the adrenalin rush of bungee jumping in Queenstown to wandering through the picturesque wineries in Hawke’s Bay, there are many wonderful experiences to be enjoyed on this journey. Arrive into the vibrant Auckland and pick up your travel pack from a representative which will contain your itinerary, maps and hotel information. The remainder of the day can be spent exploring the City of Sails. Auckland is a large and diverse city with so much to keep visitors occupied. You may wish to visit and climb the Auckland Harbour Bridge with a guide, learning about the architecture and history of this iconic structure. 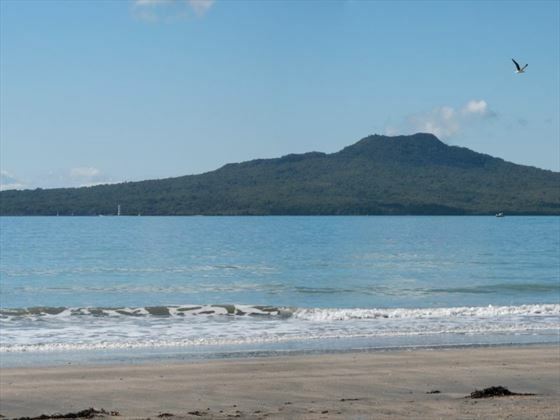 Alternatively, you could take a ferry to Rangitoto Island, which is the youngest of the volcanic cones in this region. The best way to experience all that this city has to offer is with a city tour, ticking off all of the highlights. If you would prefer something a little more relaxed, opt for a wine tour in Kumeu Wine Country. Drive south from Auckland on State Highway 1 which will take you past the Bombay Hills and on to Waikato. East from here is Hobbit country, where the Lord of the Rings and Hobbit films were made in the town of Matamata. 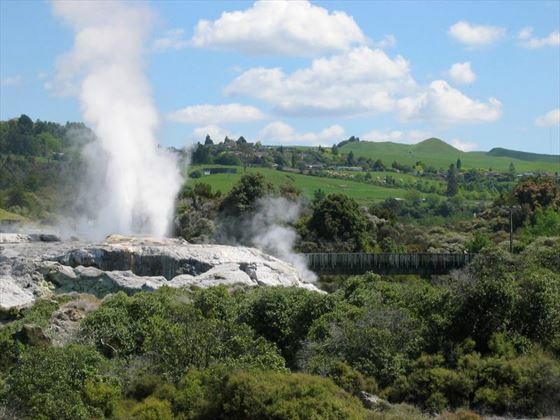 Upon arrival into Rotorua, you’ll see steam rising from the hills and roadsides, as a result of the geothermal activity. The rich heritage and history has inspired some fascinating attractions, including the Rotorua Museum and the Buried Village where you can learn more about the volcanic eruption of 1886. One of the most popular attractions for visitors here is the Mitai Maori Village, where you can enjoy traditional performances and demonstrations, coupled with a classic Hangi meal. Sitting in the heart of the world’s most volcanically active region, Rotorua is a really interesting place to explore, with numerous natural attractions and a rich culture. Visit the Wai-O-Tapu Thermal Wonderland, just 30 minutes from Rotorua, and explore a network of mud pools, sulphur ponds and geysers. A trip to Rainbow Springs offers up the opportunity to see some of the native flora in New Zealand as well as the chance to see the native kiwi bird. Likewise, canopy tours are available if you’re feeling adventurous and want to see Rotorua from a new and exciting vantage. Rotorua is second to Queenstown for adventure activities, so if you want something adrenalin-pumping then why not try your hand at zorbing, rafting or hiking along one of the beautiful walking routes. Today’s route takes you south of Rotorua, through the thermal regions of Wai-O-Tapu, Waimangu and Craters of the Moon, near Taupo. 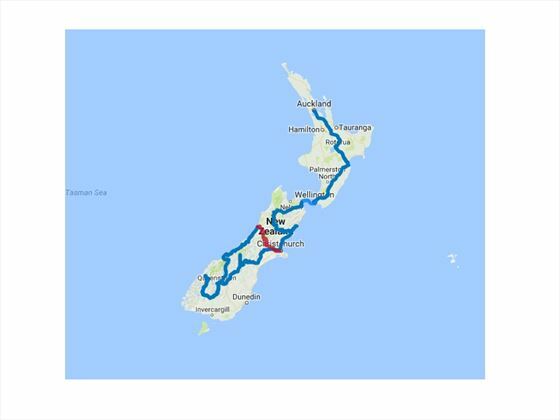 You’ll be directed to Huka Falls and the churning waters of Lake Taupo; from Taupo you’ll cross the Ahimanawa Range to descend to the shoreline of Napier. This art deco city is a fascinating place to explore and home to numerous beautiful buildings. Hawke’s Bay is the primary food and wine region of New Zealand and a great holiday spot, offering near year-round sunshine. The best views of this area come from the top of Te Mata Peak, overlooking the lush countryside. 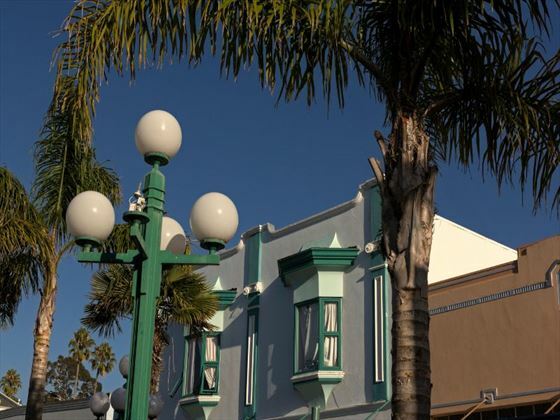 Take a wine tour while you’re here or take a tour of Napier to explore the chic art deco buildings that make you feel as though you’ve stepped back in time to the 30s. Alternatively, the gannet reserve in this region is the largest and most accessible in the world, and a must-see for nature lovers. The landscape merges into rich farmlands as you make your way from Hawke’s Bay to the Manawatu region. Just an hour from Wellington, the Wairarapa region greets you with beautiful scenery and takes you on to Greytown which has the largest concentration of historic wooden buildings in the country. 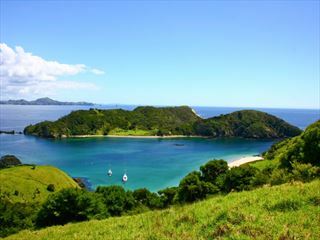 You’ll venture over the Rimutaka Range and along the natural harbour to Wellington City. 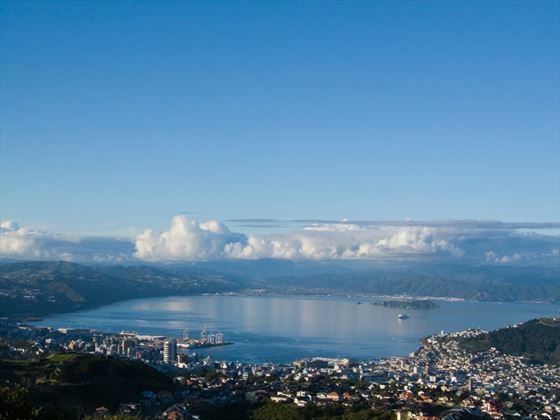 Set on a natural harbour and within close proximity to the Cook Strait, Wellington is a beautiful city to explore. There’s a diverse mix of modern structures and historic buildings, teamed with a colourful history and iconic attractions – a destination that really caters to everyone. Te Papa, the national museum, is a must-see, along with a cable car ride overlooking the city. A city tour is an unforgettable way to see the sights, from the views from the peak of Mt Victoria to the museums and architectural highlights. 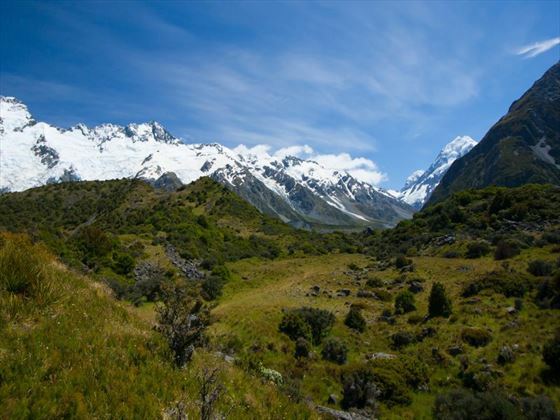 Film enthusiasts may want to take in the sights of the Lord of the Rings sets as well, where you can visit the key filming locations of the world-renowned movie series. Take a ferry ride from Wellington to Picton, which will last around 3hrs and is one of the most breath-taking ferry rides in the world. 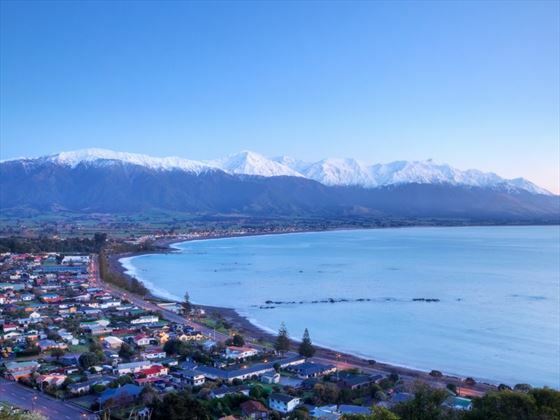 There are many notable attractions along your route, including the seal colony of Red Rocks, Oterangi Bay and views of the Kaikoura Ranges along the Cook Strait. Upon arrival into Picton, pick up your hire car and make your way to Blenheim. This town sits at the heart of the Marlborough region, New Zealand’s largest wine producing region. A wine tasting tour is a great way to experience the very best that this part of the country has to offer, with a chance to sample the produce and take in the surrounding views. 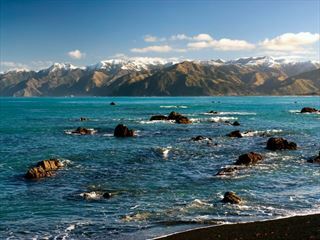 Cross the Marlborough ranges and head for the Kaikoura coastline. This beautiful part of the South Island is renowned for being a great spot for whale watching and seeing seals, but it’s also a bustling town with quaint restaurants and shops. 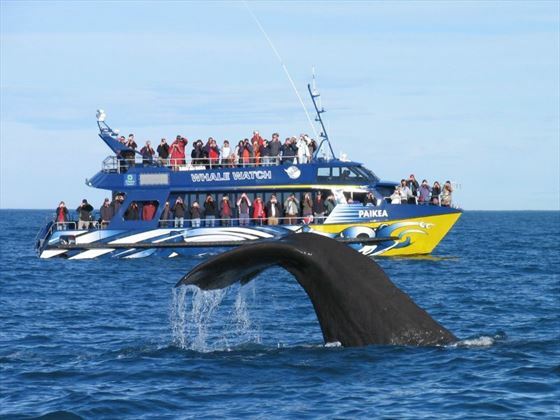 The wildlife is the real selling point of Kaikoura and there are some great experiences to enjoy here, such as swimming with fur seals and flights over the waters to witness whales and other marine creatures in their natural habitat. 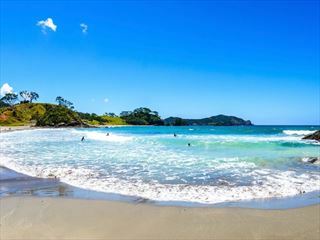 The drive from Kaikoura to Christchurch follows some spectacular coastline along the South Island, before venturing north through the Waipara Valley. There’s a great detour if you want to see more of the landscape which takes you to Hanmer Springs – take a dip in the relaxing thermal pools. You’ll then arrive into Christchurch. Spend the day in Christchurch and see the sights on a tour of this regenerating city. This is the largest city on the South Island and has plenty of things to see and so, from bike tours to the International Antarctic Centre where you can see penguins and experience the icy polar region without leaving New Zealand. A great way to see the scenery is with a balloon safari over Christchurch or with a gondola ride over Heathcote Valley. Today sees you head into the centre of South Island, crossing the Canterbury Plains and taking an optional stop at scenic Geraldine before heading into the Mackenzie Country. Visit Lake Tekapo and admire the views, before arriving at Lake Pukaki where you’ll catch your first sighting of Mt Cook. There are countless ways to experience this beautiful area, but a ski plane or a glacier landing are some of the best. At the hotel, visit the Sir Edmund Hillary Centre. Twizel is the setting for many scenes in the Lord of the Rings films and makes for an interesting stop along your way to Queenstown. You’ll pass along the Lindis Pass, which is one of the highest roads in the country, before passing through the Mackenzie Basin and into Central Otago. There are several points of interest along the way, including Cromwell which sits at the head of the Kawarau Gorge and is brimming with history, cute shops and cafés. Continuing through the gorge, you’ll be guided towards the Gibbston Valley which is one of the best wine producing regions in New Zealand and truly picturesque. If you’re feeling adventurous, you may want to take part in a bungy jump off of Kawarau Bridge – alternatively, enjoy the excitement from afar by watching visitors take the leap into the vast space below. 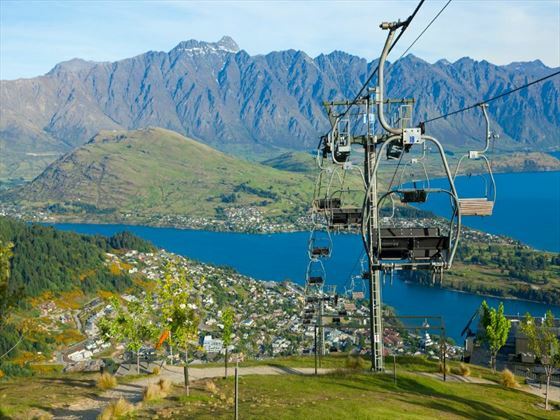 As you make your way into Queenstown, you’ll be met with a view of the impressive Remarkables mountain range. There is something for everyone in Queenstown, a place which prides itself on its adventurous reputation. From skydiving to bungy jumping, whitewater rafting and historic explorations of gold mining regions, there’s an activity to suit the pace of your day. Why not try a jet boat ride if you’re feeling in need of an adrenalin rush or take a wine tour if you want something more relaxed. 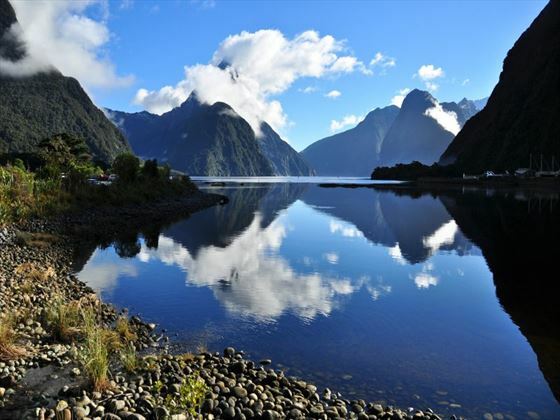 Visit Milford Sound by luxury coach today and then take a picturesque cruise across the fjord. After enjoying a morning tea break in Te Anau, you’ll be treated to an informative commentary as you make your way along the Milford Road. There will be time for photo stops along the way before you arrive in Milford Sound to board the Milford Mariner to enjoy the amazing scenery of rainforests and waterfalls. Cross the Crown Range and arrive into the town of Wanaka, which is the gateway to Mt Aspiring National Park. The Blue Pools which can be found just outside Makarora are beautiful and well worth visiting. You’ll find yourself well and truly on the West Coast as you make your way along the Haast Pass, which is filled with rainforests and foliage. Franz Josef is just a further 45 minutes onwards from the Fox Glacier. The glacier at Franz Josef is by far the most popular attraction and the reason why so many people stop by this area. A 12km glacier flows down through the temperate rainforest and finishes around 300m above sea level – you can walk the valley floor to the glacier’s terminal face. There are numerous walks that can be taken in this area, as well as a helicopter ride with a glacier landing where you can see the amazing scenery and enjoy the tranquil atmosphere. 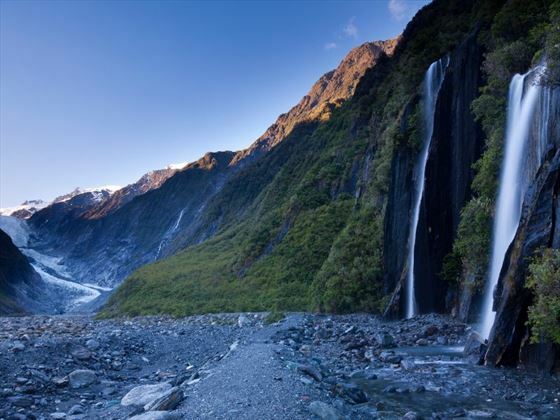 Take the scenic Tranz Alpine train route from Greymouth train station and admire the awe-inspiring landscape as you make your way through gorges, past mountain scenery and venture past breath-taking waterfalls before descending into Christchurch. This marks the end of your tour – depart from Christchurch today.